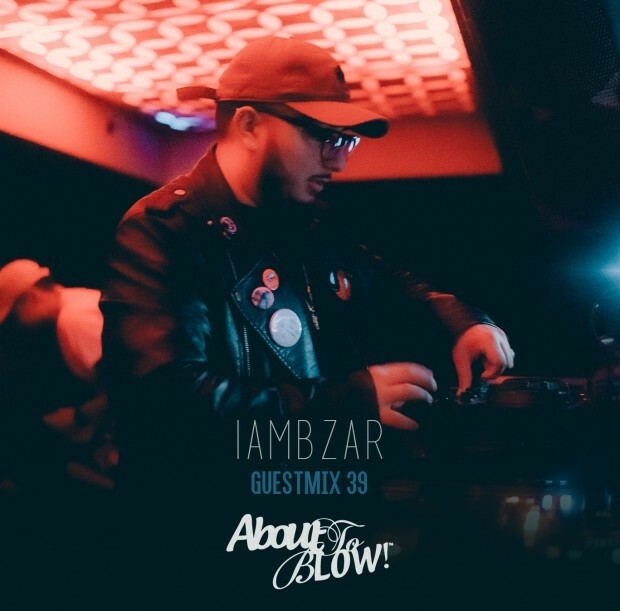 San Francisco producer Baltazar Saravia, or otherwise known as IAMBZAR, has been making and releasing music for a few years now, but his unique ability to tread sonically between house, r&b, hip-hop and latin has seen his profile grow dramatically over the last 12 months. Having first appeared on our radar with the release of ‘yodak mellow’, a blissed out edit of the Cardi B anthem the San Francisco native has continued to bless us with diverse, creative and unpredictable edits ranging across the latin, r&b, trap, house and UK garage genre’s, and fusing them into a sound that we now identify with the IAMBZAR stamp of authenticity. So prolific was his output in 2018, he dropped the 30-track ‘These Are The Edits’ compilation in August of last year, and has since become a regular in Joe Kay’s weekly Soulection mixes, in addition to his involvement as a creative director for bourgeoning Malaysia label and radio series ‘Saturday Selects’. Off the back of an impressive year, the 22 year old has curated a mix for our podcast series, a large taster of the kind of melodic, dancefloor-ready house that has been pricking his ear of late, whilst adding a few of his own unreleased gems for good measure. Peep the sounds below, and get to know the man whilst you listen as we sat down to get to know the man behind ‘IAMBZAR’ via our chat below. Hey Baltazar, appreciate you taking the time out to talk to us today. Your coming off the back of an amazing year on the production front, were you surprised at all with the level of success you’ve had with your releases? What’s up guys, thank you for having me. I think it’s safe to say that, yeah I was pretty surprised by the amount of attention and success my releases had in 2018, it was mainly supposed to be for fun but ended up becoming something much more greater, I just came back from my very first tour in Asia which was freaking nuts because just a year ago, life was extremely different but I honestly can’t be mad at it haha. Growing up in San Francisco, tell us about your earliest musical experiences and what you were exposed to growing up? My earliest musical experiences had to come from my parents. Both of them are still pretty young and love music as well, so growing up I was exposed to a wide variety of genres like rap, salsa, r&b, house etc. not necessarily what a young kid should of been listening too haha but I honestly think if it weren’t for them I wouldn’t be doing what I’m doing today. Are there any artists who you listened to growing up that particularly inspired you? 50 cent LOL that man changed the game for me, no cap. How long have you been producing for? What’s your setup and how has it evolved? I’ve been producing for about two years now, I started in the summer of 2017 on Garageband making simple mixes and mashups but as the time went by so did my hunger to actually start creating my own pieces. I have a friend here in San Francisco who’s a local engineer for some bay area talent, as well as one of my early production mentors. One night I remember sitting in his studio, it was like 1am I think and he was working on a project on Ableton live and in the middle of his session he just stops, turns around and says “yo, do you want a copy of ableton?” Since then I never really looked back and have been on using it ever since. Music is always evolving, because of this I would have to say that my production is constantly evolving too, I’m always getting inspired and always wanting to grow more as an artist, always a student. One aspect of your productions that we love is how diverse they are, from the traditional distinctly Latin vibe of ‘Kaliente’ to the UK Garage-esque re-work of Aaliyah’s ‘Are You That Somebody’. Do you have a favourite genre you like to work with the most? Are there any producers that inspire you? I really enjoy house and disco but I also don’t like to limit myself to a certain genre when creating, if that makes sense? I’ve been involved in music my whole life so it’s really hard to say which producers inspired me because I feel like all of the producers and artists I’ve listened to along the years have helped shape my sound. Some days I wake up and I only want to listen to hip hop and some days it’s only jazz, but if I had to put some names down, it would be Dre, Dilla, Neptunes and much more haha my music library is pretty insane so typically if it sounds good to me, I’ll listen to it. Who would be your dream collaboration, dead or alive? That’s a really good question, I’ve never thought about that before. Just to name a few: Michael Jackson, Luther Vandross, Victor Wooten, Pharrell, Mac Miller, The Internet, Sade, Majid Jordan… I really want to work with Majid Jordan one day. On the subject of diversity, your recent ‘rhythm 124mix’ is an excellent display of your knowledge of house music that would’ve surprised (and no doubt impressed) a few people. Which producers are you currently feeling in that scene and can we expect more tracks from you on that vibe? Thank you guys so much for listening to that mix, I had so much fun curating it and was really hoping that people would vibe out to it the same way I did. I’ve actually been really in tune with Peggy Gou right now, she’s been one of my main inspirations and I love everything she’s done, I’ve been stuck watching her sets on YouTube because her music selection is ridiculous and every experience always feels new, I’m telling you if you haven’t heard her music yet, you’re sleeping on her haha. I have a house project I’ve been working on for the last few months so I definitely do think you can expect a bit more from me from that vibe, I’m honestly super excited for it. Release wise you dropped your ‘These Are The Edits’ package on Bandcamp last year. What can we expect from you in 2019? The release of “These are the edits” was a pretty big turning point in my career, I created that project not anticipating people to actually buy that pack but after its release I started seeing people from all over the world tagging me on social media using some of my songs in their sets at nightclubs, day parties and even festivals, I would of never imagined some of these songs to ever leave my bedroom so that was huge for me. With 2019 in full motion, I’m trying to make the move of bringing my original productions to all streaming services for people to listen to. I’m hoping to do a lot more shows this year, as well as maybe playing in some festivals, who knows. I’m still pretty new to the scene so I’m hoping something works out. I eventually want to come to Europe and do some shows so let’s pray for that haha. Lastly we’re thrilled to have you as part of our guest mix series, what can we expect? Again thank you for having me on the show. With this mix, I’ve put together some sounds that I’ve had on repeat, will be playing at some upcoming shows and that you can expect from me in 2019 as well as some unreleased music I’ve been working on. I’m hoping you guys really enjoy this and thank you for supporting my work!